March has been a very impactful month for ARMA. My highlight was probably the ARMA roundtable on mental health. The statistics about incidence of mental health amongst people with musculoskeletal conditions don’t surprise me. It’s obvious why long-term pain and difficulty moving would go along with high levels of depression and anxiety. What surprises me is how little support people get with their mental well-being and that’s something ARMA is determined to change. ARMA members will be discussing what they want to do next on mental health at this week’s members meeting. Personally, I’d like to see an IAPT service for MSK/pain commissioned in every area. I know that whatever we decide to focus on, we now have colleagues in the mental health sector who understand how vital this is and are ready to work with us. The round table is an example of where ARMA works at its best, bringing people together to find common ground and collaborate. Another is our engagement with the Department for Health and Social Care on prevention. We have come together to identify our priority proposals for MSK prevention so that we can give a clear message to government. The clarity and cross sector support means we can make a much bigger impact than each of us working individually. Our webinars continue to go from strength to strength. In March we delivered our most popular webinar ever on the National Back Pain Pathway. 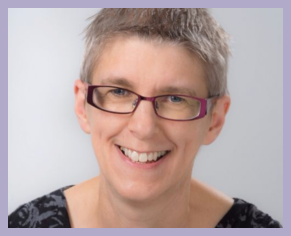 We’ve got a really interesting one at the start of April on supporting women with inflammatory conditions around pregnancy. See the ARMA webinar page to join or watch the recording. As you can see, we cover a range of topics, so if there’s a webinar you’d like to see us run, please let us know. I always enjoy talking to members, large and small, about their work and how ARMA can support them. So, it was good to find out more about the priorities for the RCN Rheumatology Nursing Network. One of our smaller members, they have some ambitious plans for the next year. I’ve also been talking to a few new organisations who want to find out more about joining us. ARMA is nothing without our members, and we value the contribution of everyone, large and small. We’ll be exhibiting at the BSR conference at the end of April, so if you are there do come and say hello. And if you know of an organisation that would benefit from collaborating on MSK heath, please suggest that they join us. There are so many opportunities to push things in the right direction for patients, and far more that unites us than divides us. The more of us we are, the stronger our voice can be. Do you have an evidence-based idea to change clinical practice? Apply to the Evidence into Practice Challenge, a call to healthcare professionals and researchers in the West of England. Evidence-based ideas are sought for initiatives or projects to improve healthcare. 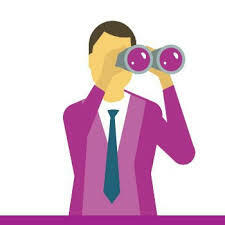 The West of England AHSN will work closely with chosen applicants and recompense time for activity that supports the adoption and spread of the initiative. Karen Luyt, a neonatologist at University Hospitals Bristol NHS Foundation Trust, responded to the first call five years ago. Her idea became the PReCePT programme, currently being implemented nationally. 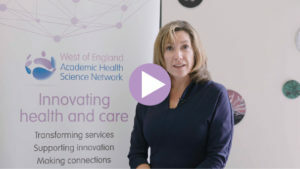 Watch the video to find out what Karen has to say about working with the West of England AHSN. Read more for full details including application pack and guidance documents. ARMA has been working with the Medical Technology Group (MTG) to raise concerns about increasing rationing of joint replacement surgery. The MTG is a coalition of patient groups, research charities and medical device manufacturers working to improve access to cost effective medical technologies for everyone who needs them. MTG has concerns about treatment rationing in general and have launched the Ration Watch campaign to highlight care inequality and the impact it has on patients’ lives. Ration Watch aims to expose the scale of rationing and the issues around local commissioning across the UK. Ration Watch looks at individual commissioning polices, NHS activity and waiting times to describe the challenges some patients face. The campaign will work with local politicians, councillors, MPs, and national decision makers to help improve patient access to treatment regardless of where you’re based in the UK. Their website asks patients who have been denied life-enhancing treatments, such as hip surgery, to share their rationing stories. Ration Watch believes that what you need, not where you are, should dictate the care you receive. In March, ARMA held a roundtable on mental health. We brought together people from the mental and MSK health sectors, both voluntary and statutory to hear presentations from Arthritis Action, NHS England’s Head of Mental Health, a patient perspective and the Haringey IAPT service. IAPT (Improving Access to Psychological Therapies) is designed to support people with depression and anxiety but has recently been rolled out to include long term conditions. In Haringey this includes MSK pain. People are offered a range of different psychological support such as individual Cognitive Behavioural Therapy (CBT), guided self help, groups, computerised CBT. They work closely with the hospital pain service to offer more intensive support if needed. They also work with community services, provide employment support if needed, and can refer to other services for support such as debt advice. Some of the issues discussed at the meeting were the lack of training in mental health for physical health practitioners. Lack of knowledge, combined with lack of appropriate services to refer to, can make clinicians afraid to ask about mental health in case they are unable to deal with the issues raised. So many opportunities to talk about the psychological impact of a person’s MSK condition are missed. Another big issue was the role of patient groups. Helplines and support groups are a vital part of the picture, providing support and time to talk, as well as advice from people who have been there themselves. Yet many people are unaware of the different patient groups who could support them. The roundtable was the start of a conversation and will inform our work on mental health and MSK in the future. Look out for the report, which will be published soon, as well as for other activity to raise this vital issue. 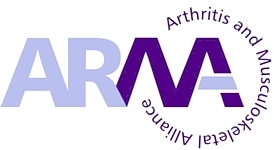 Unfortunately, owing to a planned strike by security staff at Westminster, the Versus Arthritis parliamentary drop-in on aids and adaptations on Wednesday 20 March was cancelled. This is obviously very disappointing, for Versus Arthritis and campaigners, as we know how important it is for MPs to recognise the impact that aids and adaptations can have for people with arthritis. MPs have been informed and Versus Arthritis is currently working to reschedule the event. VA has also been in touch with the hundreds of supporters who contacted their MPs. Keep an eye on our social media, where the new action to email MPs will be shared when there is more information. In the meantime, supporters can still send the Room to Manoeuvre report to their MPs by clicking here. You can find out more about Versus Arthritis’ Room to Manoeuvre campaign on aids and adaptations here. 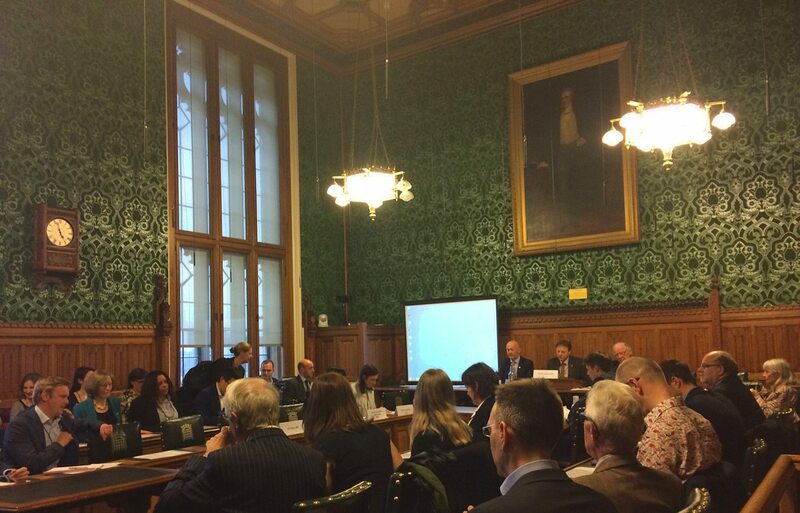 Last week saw a momentous event for people living with axial SpA (AS) in the UK, when NASS held the inaugural meeting of the first ever all-party parliamentary group (APPG) specifically for Axial Spondyloarthritis. Parliamentarians, policy makers, clinicians, healthcare commissioners and NASS members and staff came together to identify and address concerns about AS care. You can read NASS CEO Dr Dale Webb’s reflections on the meeting and more of what’s to come from NASS’ Every Patient, Every Time campaign. The RCN Rheumatology Nursing Workshop 2019 event includes talks on ‘Understanding vasculitis and impact on inflammatory arthritis patients’ and ‘Understanding the JAK pathway – a new mode of action for rheumatology’. Click here for the delegate booking form. The workshop has been developed by GPs for GPs, and is aimed at furthering your practical skills to encourage best-practice MSK care with your patients. It includes a range of interactive, practical workshops focused on building expertise in MSK care. The course is worth 12 CPD points if completed alongside the e-learning course. The cost is £130+ VAT and delegates can sign up at www.coreskillsinmsk.co.uk.